The community of Shiekh Jarrah calls on the international community to set up tents outside of Israeli embassies worldwide in solidarity with the neighborhoods threatened with eviction or demolition in occupied East Jerusalem. Tents have become a powerful symbol of the struggle of Palestinian people living in occupied East Jerusalem. They have been set up as centres of protest in neighbourhoods threatened by numerous eviction and demolition orders, part of Israel’s wider policy to ethnically cleanse Jerusalem of its Palestinian population. Ultimately this would destroy any hope of East Jerusalem becoming the capital of a future Palestinian state. A number of the tents, notably the one in Sheikh Jarrah, have been built by Palestinian residents forcibly evicted from their homes as a result of Israel’s racist policy. Palestinians, who became refugees in 1948 & 1967 are, once again, facing dispossession from their homes and land as our governments stand by and do nothing. The neighbourhoods most severely affected are Sheikh Jarrah, Silwan, Ras Khamiis, Al Tur and Sur Beher however house evictions and demolitions are not uncommon in the Old City itself. In Silwan, 88 homes in the al Bustan quarter are facing immediate destruction in order to create space for a planned national park. In addition, two apartment buildings housing 34 families in the adjacent al Abbasiyya quarter have also received demolition orders. When completed, up to 2,000 Palestinians will be uprooted from their homes. 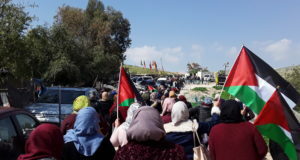 The local communities are calling for international activists to organise symbolic protests and set up tents outside of Israeli embassies or Zionist organisations worldwide to stand in solidarity with the protest tents in the neighbourhoods of Sheikh Jarrah, Silwan, Ras Khamiis, Al Tur and Sur Beher. The neighbourhood consists of 28 families, and is facing a number of eviction orders which are part of a plan to implant a new Jewish settlement in the area, close to the Old City. After the Al Kurd family has been forcibly removed from their home in November 2008, it is now the turn of the al-Ghawe and Hannoun families to face imminent eviction, while others are awaiting further eviction orders. The families have gone through 37 years of legal battles, fighting for the right to stay in their houses where many of them have been born and which they legally own. To date, the Israeli courts, including the High Court, decided in favour of the Jewish settler organisations, which claim the ownership of the land based on falsified documents. The courts have not only ignored all the documents produced by the Sheikh Jarrah community which clearly prove their legal status and the ownership of the land, they have also shown that their decisions are not based on law and justice, but are clearly political decisions, serving the goal of cleansing the Palestinian people from Jerusalem. The latest court hearing, held on the 17th May, ordered the families to sign a guarantee for 50,000 NIS and present a further guarantee for $50,000 from the bank. The court has ruled for this money to be taken if the families refuse to hand in their keys and leave their houses voluntarily by noon on the 19th July. 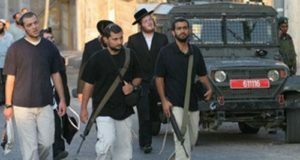 After this date, the settler organisations have permission to enter the houses and the fathers of the families will be sent to prison, charged with contempt of court. As refugees and people living under occupation, we are asking people to help us with our struggle for our rights. It is unbelievable that in the 21st century, Israel’s authorities can get away with demolishing the homes of Palestinians in order to build settlements or national parks. The price we and our neighbours have to pay is too high, we are faced with two impossible choices – either we throw our kids out on the street or we go to prison. If we lose our homes, there is nowhere else for us to go, the only option we have is to live in tents. International solidarity gives us more power and strength to continue in our struggle and stay in our homes. We need support from people around the world to let everybody know about our story and pressure their goverments to help stop this racist policy of house evictions and demolitions. Contact your MPs and other political representatives to tell them about this story. Ask them to raise the issue of East Jerusalem in the Parliament and Government meetings and put diplomatic pressure on the Israeli authorities. 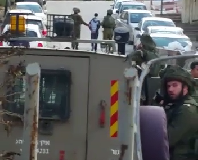 Contact media representatives in your countries and ask them to cover the story of Sheikh Jarrah and the ongoing ethnic cleansing in East Jerusalem. Organise demonstrations, talks, film nights or photo exhibitions in your countries. Email sheikh.jarrah@hotmail.co.uk to receive updates, tell us about your ideas for actions, events and the co-ordination of an international day of actions. Set up a contigency plan with your organization or affinity group in the event that these evictions are carried out or Maher Hannoun is arrested. Send your email to Sheikh.jarrah@hotmail.co.uk to recieve alerts and co-ordinate your actions. We ask for people to stand in solidarity with the residents of Sheikh Jarrah and support their fight for justice.